OpenMPT is being developed since 1997 and has grown a lot since then. Here, you can find some of the key features of the tracker. True multiple document interface - open many modules at the same time and copy&paste between them! 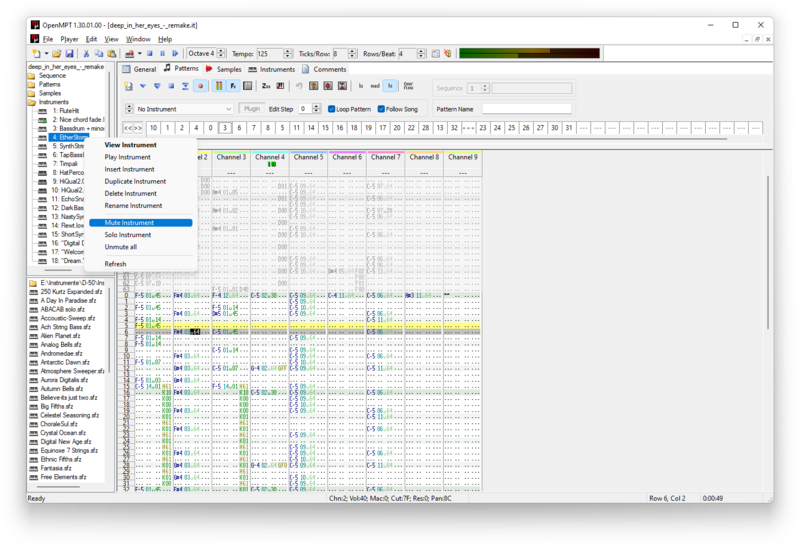 Many supported sample and instrument formats: WAV, XI, PAT, S3I, SMP, ITS, RAW, AIF, 8SVX, DLS, SF2, XI, ITI and more! 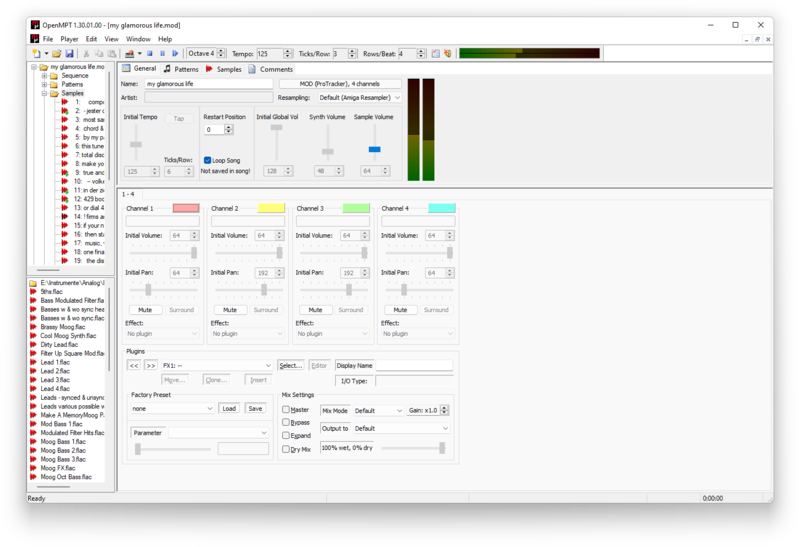 A versatile sample editor with useful features like sample normalization, DC offset removal, phase inversion, amplification, upsample, downsample, etc... You can even draw your own samples!